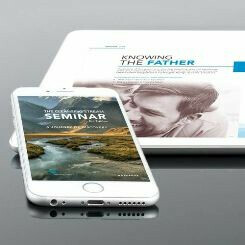 Cleansing Stream is a six-week seminar designed to deepen your walk with God and release you into His freedom. It can be a life-changing experience as you progressively receive cleansing and healing. Whether you are new or mature in your faith, this seminar is a great way to increase your faith and understand how to use your authority in Him. There are six teachings followed with a small group discussion and ministry. A workbook is included. Homework in the notebook enables you to apply the principles of the teachings to your life. A Saturday One-Day Event takes place after the fifth teaching. Heartfelt worship, anointed teachings, and powerful ministry occur. Many people receive healing, cleansing, freedom, and deep connection to God. Cost is $49/individual and $84/married couple. Seminar classes take place Sunday evenings from 6:00 - 8:30 pm . Mid-week classes will also be available. If you have completed the CSU training and would like to serve as an intercessor or anointer at the One-Day Event, or to find out more about Petra's Cleansing Stream Ministry, please contact Lisa Hurst or Kathy Weiler. Learn more about Cleansing Stream Ministries.